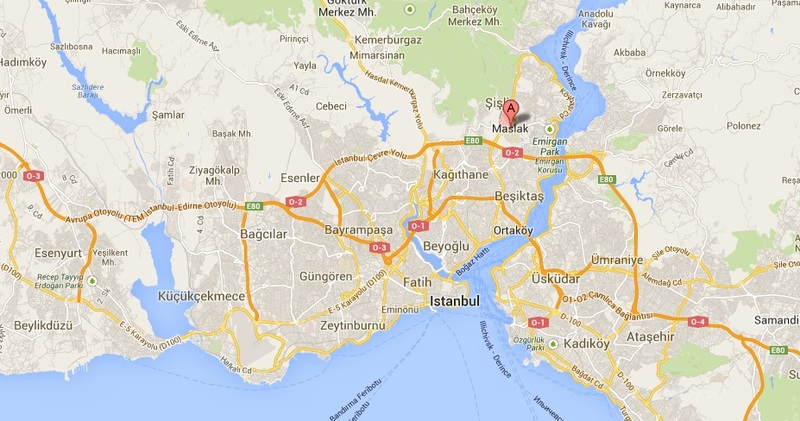 Maslak lays in the district of Sarıyer and is one of the main business districts located on the European side of the city. Directly accessible by Metro, Maslak is a popular area for new investment and construction. It is in direct competition with the nearby Levent business district for new skyscraper height of 202 meters; while the tallest skyscraper, called Diamond of Istanbul, currently is under construction. It will have 53 floors above ground, it will reach a structural height of 270 meters and will be the first skyscraper constructed with steel in Turkey. The main attraction for tourists here are the stores. Here you will find famous brand shopping outlets. Also very popular and worth visiting if you’re up to upscale and exclusive shopping is the Istinye Park mall, which you can reach easily from the ITÜ-Ayazağa Metro station. The stations ITÜ- Ayazağa and Atatürk Oto Sanayi along the M2 line of the Istanbul Metro serve the Maslak business district and its surrounding neighbourhoods. Take the M2 Sybwat and get off at Hacıosman. You can get on the little blue buses “minibus” from Beşiktaş Square .